Now I'm pretty sure you guys are all thinking, what would you use a travel sized container for? Well what about those times where you only have a little bit of that shampoo/conditioner/mouthwash left? I usually like to put the smaller amounts into a container like this. It's smaller, and doesn't take up that much space in my bathtub. 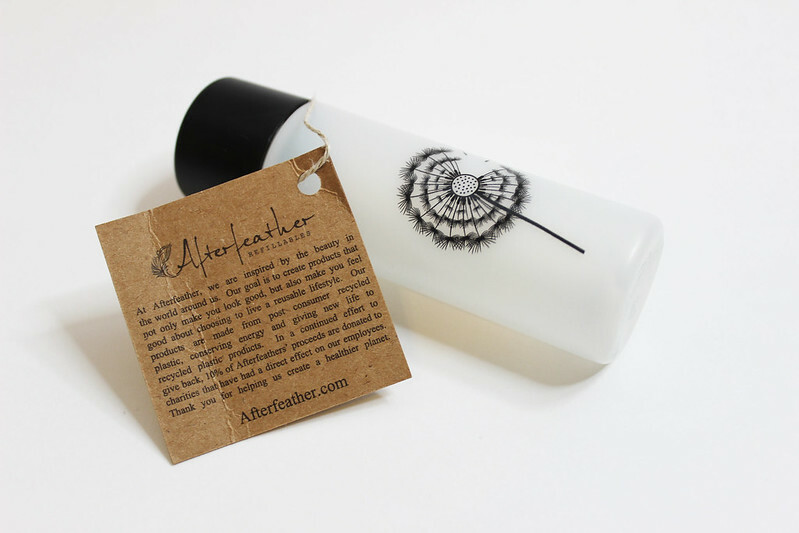 I would definitely recommend you check out After Feather products! I'm actually a huge fan of Dove. 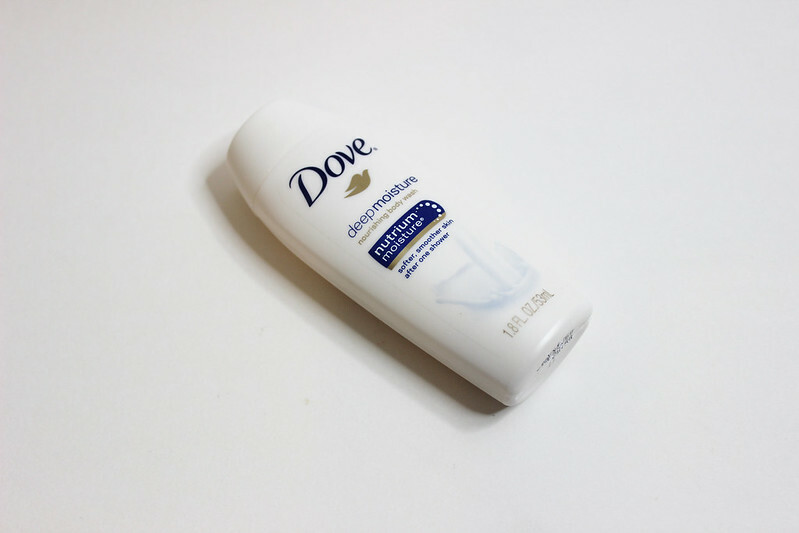 I don't think I've ever used their body wash before, I'm more of a bar soap type of gal, but I will give this Dove Deep Moisture Body Wash a try! 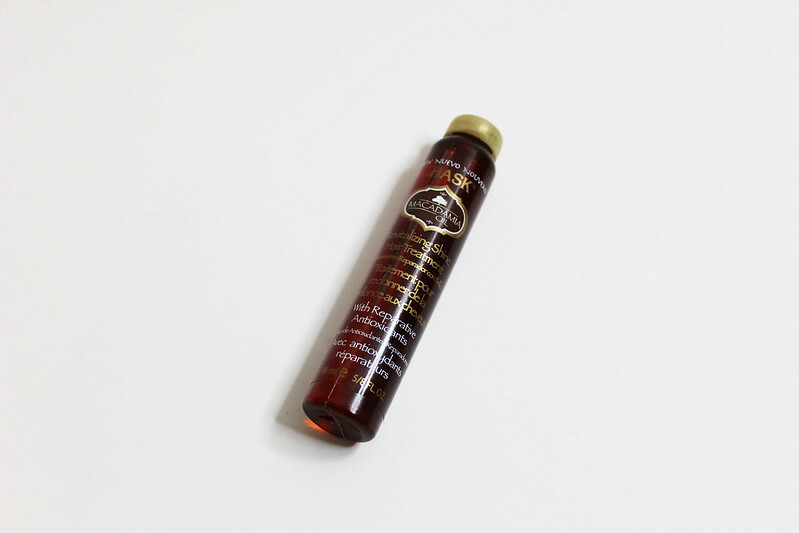 When I opened this Hask Macadamia Nut Oil, the first thought I got into my head was CANDY! This smells like candy to me, or maybe it's cotton candy? Well it's been a while since I've had cotton candy, but this smells sweet. Not overpoweringly so, but it has that candy like smell to it. Now if you don't know already, I have eczema, so I can't put on certain types of products on my skin, and one of those products that I cannot put on my face, neck, and arms, is shea butter. So when I got in this Laura Ashley Body Butter I was a little skeptical about this body butter. 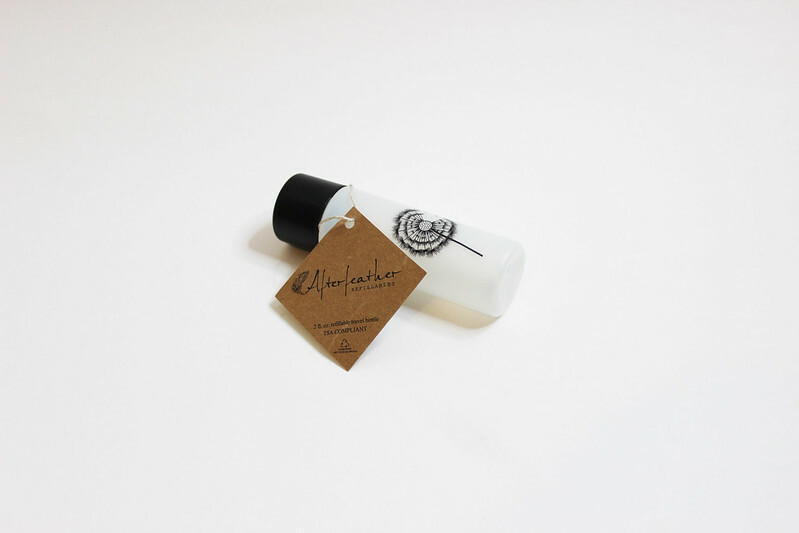 But after looking at the ingredients list, I was very surprised to find out there is NO shea butter in this body butter! And it smells divine! I think it smells like peonies with roses. I haven't been able to find where they sell this, but trust me, when I do, I'm going to be buying this! 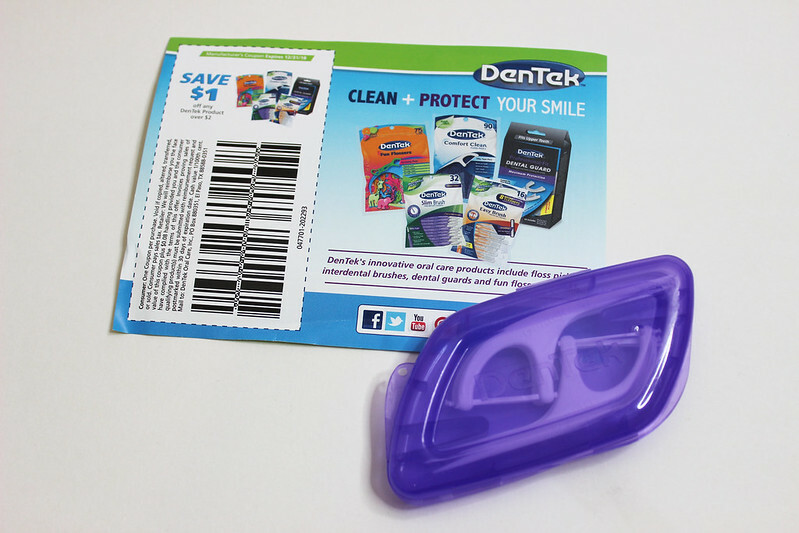 I don't use normal floss anymore, because one, it's hard to gauge how much floss you need to use, and two taking the floss out and cutting it with the little blade is annoying. My family has officially switched to these floss picks, and how can you say no when it comes with a toothpick as well? So as far as I can tell everyone else basically got the same thing in their beauty boxes this month as well. Since there wasn't any cosmetics, there wasn't a need to have different shades, like nail polish, eye shadows, and stuff like that. I like this month's box, I can see myself using all of these items. 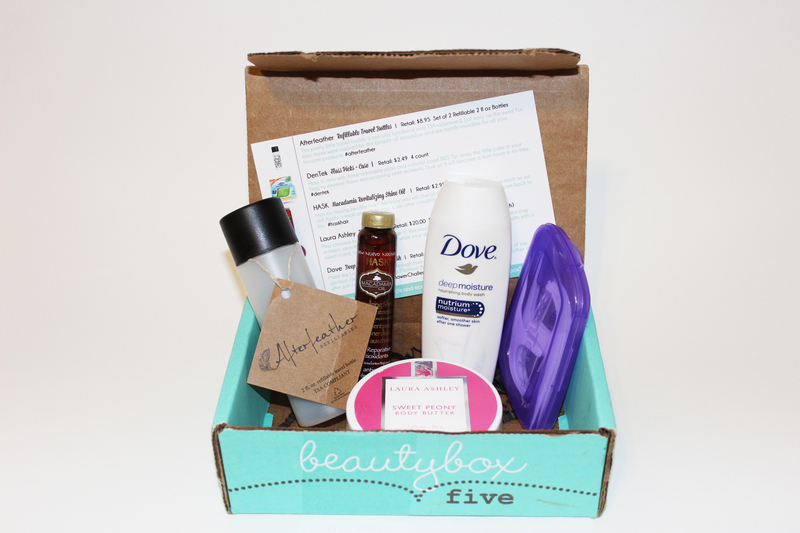 What is your favorite item from this month's beauty box 5?